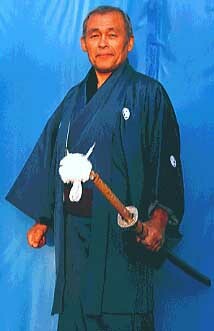 Master Okuyama is the Head of the International Budo Association and has the Kancho title. He began to train in Japan at the age of 7. In line with the family tradition, he practised sumo and judo. 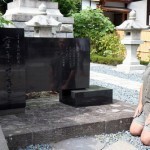 At the aged of 13 he started to learn karate from master Kinjo from Okinawa. In 1960 he started to study at the Takushoku University, which became famous all around the world because of training the best Shotokan karate instructors. 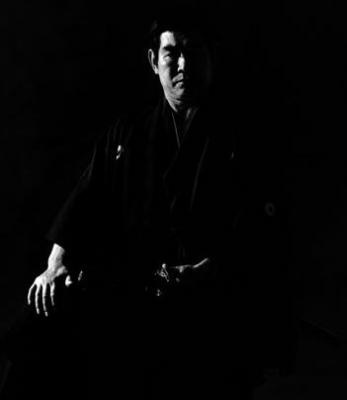 He studied political science and foreign trade, regularly training karate with masters: Tabata, Hamanaka and Tsuyama. In 1966 he arrived in the USA to continue his studies and started to train under the instruction of master Takayuki Kubota. Having recognised him as the greatest of the encountered karate masters he remains faithful to him up to this day. 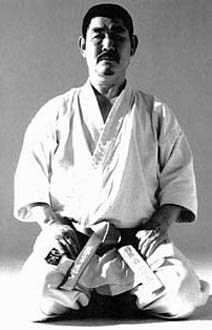 In 1970 he moved to Canada, where he is the most important person in the Gosoku-ryu and Shotokan karate fighters environment. 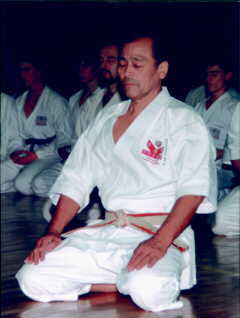 He has thousands of students in karate and jujitsu in all the world: North America, South America, Europe and Asia. He was two times in Poland: in 1997 during „7th World Kubota Championships in Karate” and in 2014 during „European Champions Tournament” (big budo championships in karate, jujitsu, kobudo, iaido, battodo and sport kenjutsu organized every year in Warsaw by hanshi Tomasz Piotrkowicz). In 2014 kancho Okuyama received the highest rank in karate 10th dan from 5 international martial arts federations and associations. Apart from his karate activity, Kancho Takemasa Okuyama is a well-known businessman – president of Hachi-O-Zan Ltd. and an artist who occupies himself with traditional painting and playing the Japanese flute. 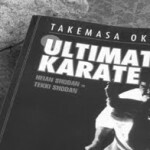 Master Okuyama wrote very interesting book about basics of Shotokan karate, especially Heian kata and bunkai (aplications) under the title „Ultimate Karate”. 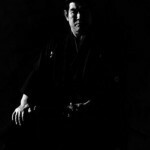 One of the few grand masters still alive, cultivating samurai traditions in the contemporary world, owner of the highest rank in karate: 10 dan. 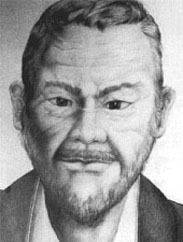 Born in 1934 in Kumamoto (Japan). Aged 4, he began to train ju-jutsu and karate under the instruction of his father, Denjiro. He studied many Japanese hand-to-hand and sword combat types, but what prevailed was karate training, which he seemed to be greatly gifted for. His talent can be measured by the fact that he started teaching karate at the age of 14, and at the age of 17 he had his own dojo in Tokyo and was a hand-to-hand combat police consultant. In 1964 he arrived in the USA, where he still teaches karate in the Headquarters of the International Karate Association, founded in 1953 in Japan, headed by master Kubota and uniting karate students from all around the world from different karate styles, especially Gosoku-ryu and Shotokan. 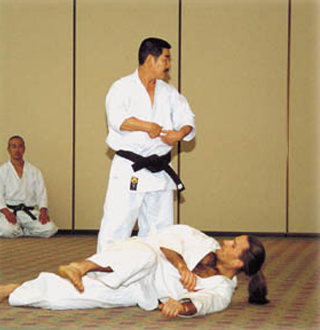 Master Kubota developed Shotokan techniques basing on Goju-ryu defences and stable Shito-ryu stances creating his own dynamic Go-soku style (go – toughness, soku – speed). 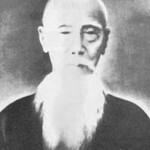 Hence his title – Soke (master and the style’s founder). FBI and the American police, as well as Hollywood are making use of his talents. He acted, trained actors, devised fighting sequences in over 300 films, co-operating with such Hollywood stars as: Yul Brenner, Charles Bronson, James Caan, Michael Douglas, Sean Connery, Christopher Lambert. It is James Caan who is one of the most faithful Soke’s students, an expert in cane-fighting and honorary president of the International Karate Association. A modest teacher who first demonstrated the martial art from Okinawa in Kyoto, then in Tokyo in 1922 at the First National Athletic Exhibition. He fascinated many people so much that he remained in Tokyo and taught there (with a break in the times of war) as long as he lived. 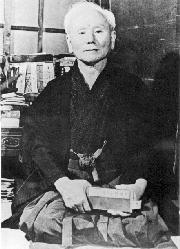 Five years later Funakoshi wrote first book about karate. 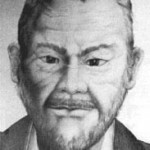 Only after his success did other experts start to arrive from Okinawa to teach karate in the whole of Japan. 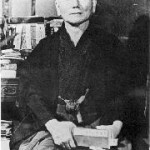 His famous Shotokan dojo is presently associated with the name of the style that is practised in greatest numbers all around the world and which in its kinds often differs from the Funakoshi style. 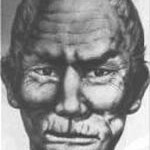 Master Funakoshi simplified and systematised many kata – forms from Okinawa, however, as for kumite, he never accepted anything but schematised fights, opposing spontaneous fights and sports karate. He was the first honorary president of the Japan Karate Association but he didn’t know that his students prepared sports confrontation in karate. So the first official sports karate championships JKA took place a few months after his dead in 1957. Master Funakoshi very strongly underlined the obligation to deprive oneself of aggression, avoid dangers and not to aim at confrontation. 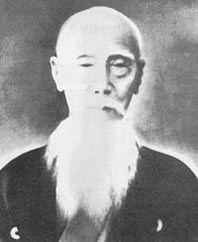 His following motto gained a lot of popularity: karate ni sente nashi – karate does not strike first (karate is not a form of aggression). 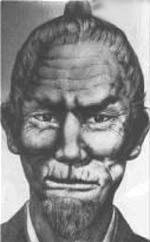 This maxim is on Funakoshi’s thombstone in Kamamkura, in Enkakuji temple and on the Funakoshi’s monument in Naha, nearly Okinawan Budokan. 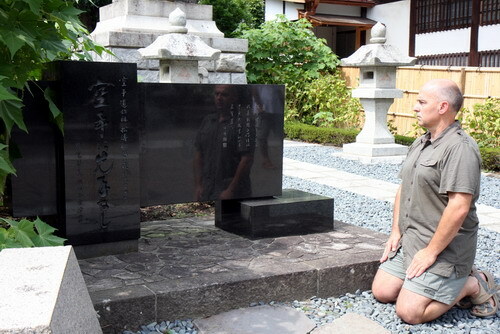 Hanshi T. Piotrkowicz at Funakoshi’s Tombstone in Enkakuji Temple (Kamakura, Japan).